Samsung recently announced that it started mass production of mobile application processors on its 14nm FinFET process technology, which is likely to be seen in theExynos 7 Octa series. Now, taking another leap ahead, Samsung has revealed it is working on 10nm FinFET semiconductor technology.The South Korean company announced what it touts is the “world’s first 10nm FinFET semiconductor technology” at the ongoing 2015 International Solid-State Circuits Conference (ISSCC) in San Francisco. Samsung’s Kim Ki-nam, President of Semiconductor Business, stressed that the 10nm FinFET chips will be a major step in “the advent of IoT (Internet of Things).” Additionally, Ki-nam also talked about use of the 10nm technology coming to DRAM and 3D V-NAND chips. 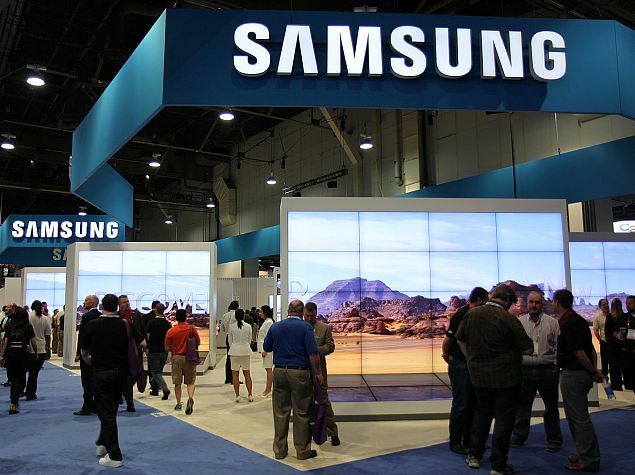 Samsung however has not revealed much detail about the 10nm FinFET chips. The launch was first reported by ZDNet Korea. Interestingly, Intel at the ISSCC event also talked about 10nm FinFET; though the company confirmed that it will showcase the new chips only by 2016 while 7nm chips can be expected in 2018. Intel previewed its planned presentations, which largely dealt with the viability of Moore’s Law as transistor widths shrink to 10nm and below. To recall, Intel’s migration to 14nm transistors was delayed, it was rolled out successfully with the Broadwell (Core) and Cherry Trail (Atom) product lines. Coming back to Samsung’s Exynos 7 Octa series, the company is yet to announce specifications of the chipset. It is likely that this processor will be used in the upcoming Samsung Galaxy S6 and Galaxy S6 Edge, widely expected to be announced at the 2015 Mobile World Congress in Barcelona next month.